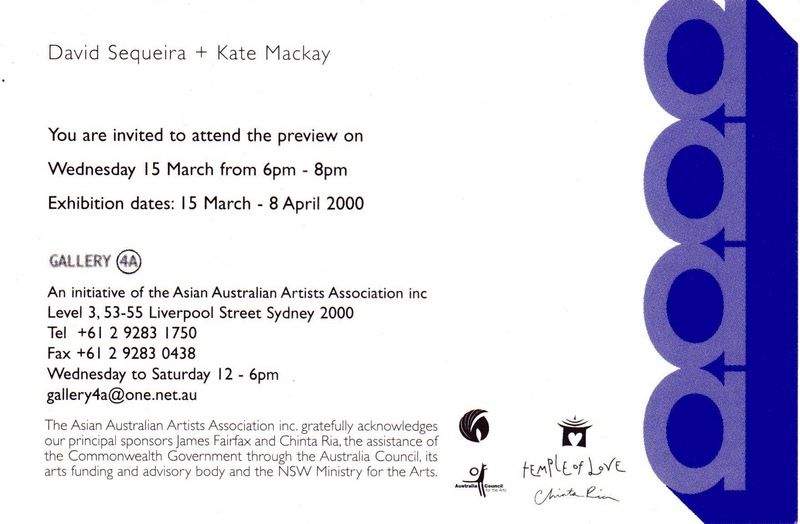 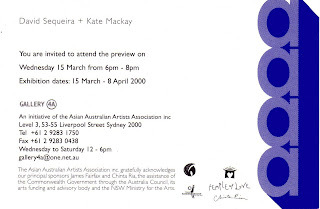 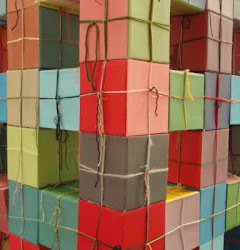 My first show in 2000 was at Gallery 4A (an initiative of the Asian Australian Artists Association inc). 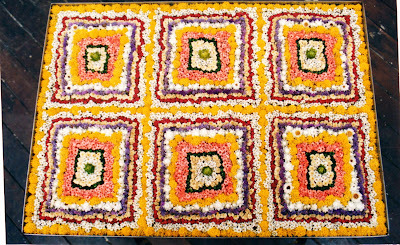 I exhibited a combination of flower arrangements and castings. 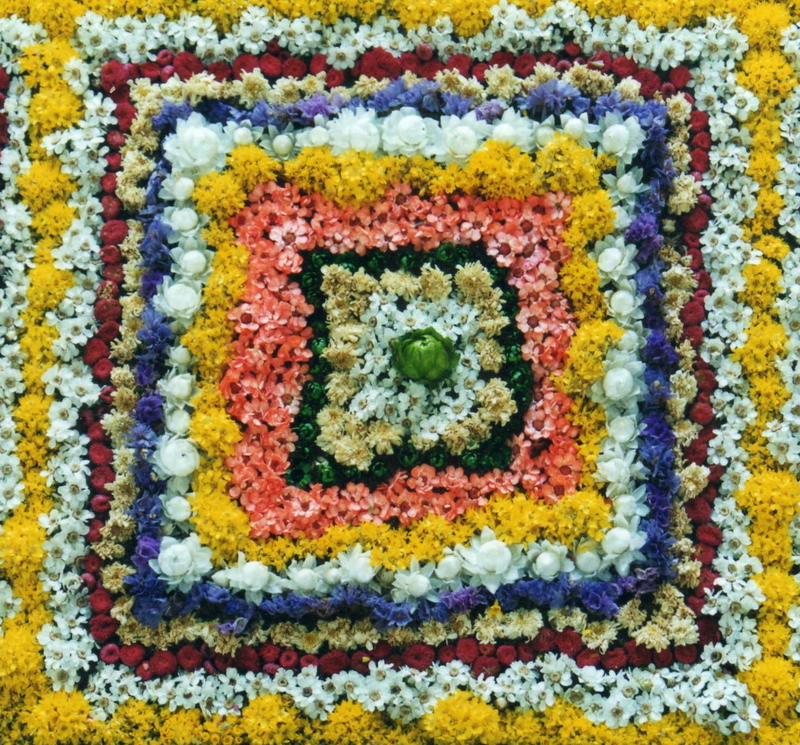 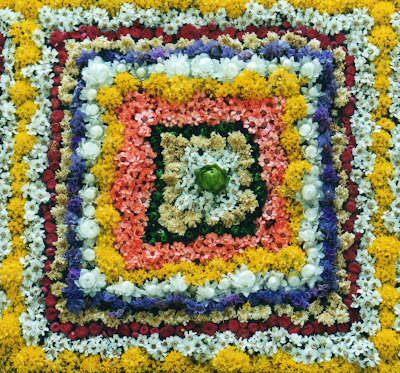 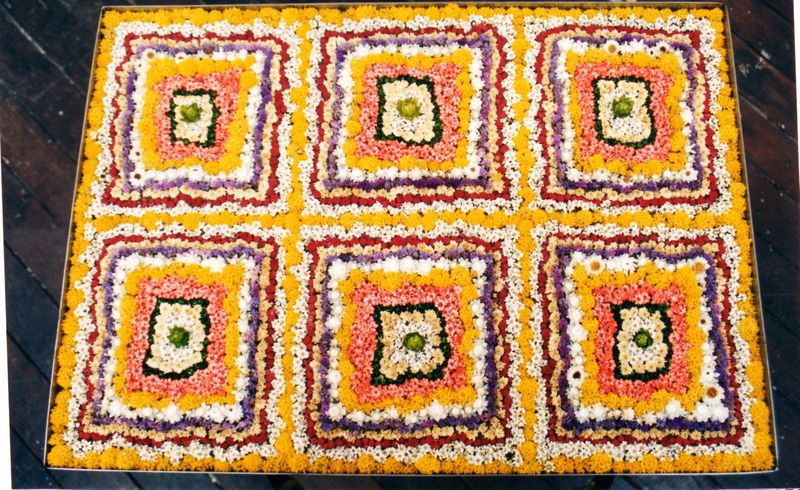 The flower arrangements included a third incarnation of the 'flower tray' and 9 pieces consisting of layered flower petals and leaves set in polyester resin. 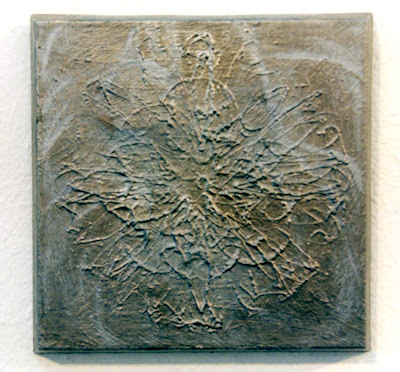 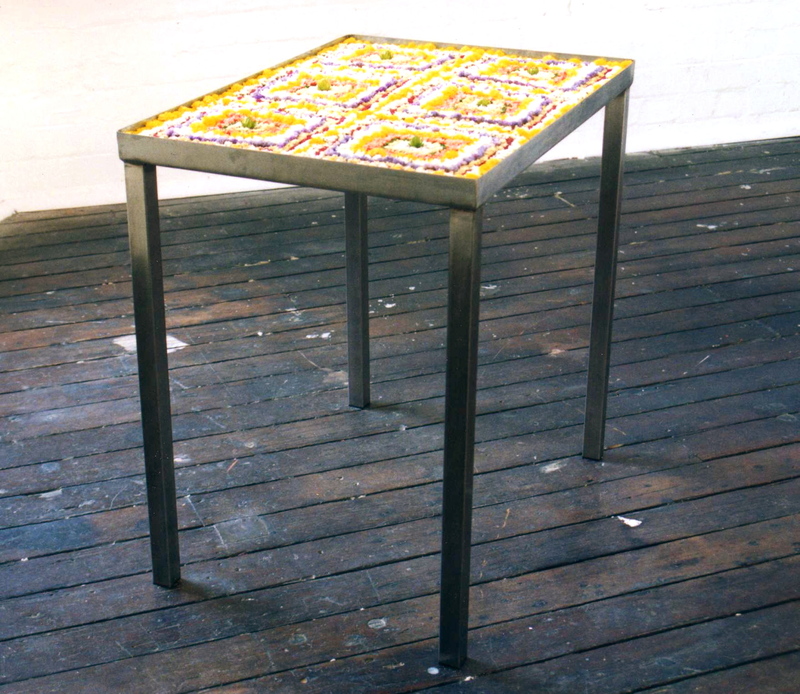 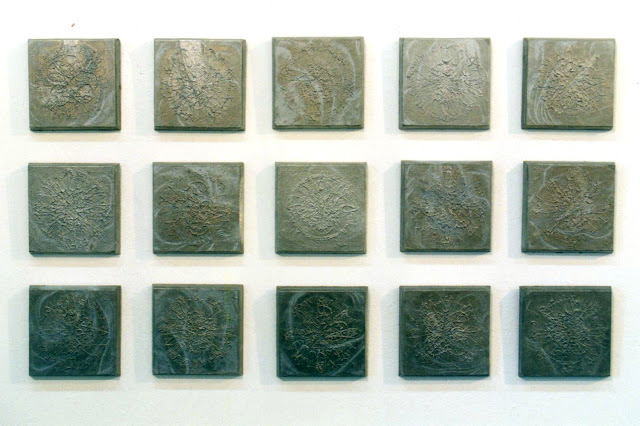 The resin pieces where arranged in one line opposite an arrangement of 15 small metal castings in a grid formation.